This morning I wanted to work on the tree ferns, but for now, the jury is out on what to do. I ordered some watercolor marker / brushes from Amazon, as I don’t have any and the design element seems to warrant more control than a brush. 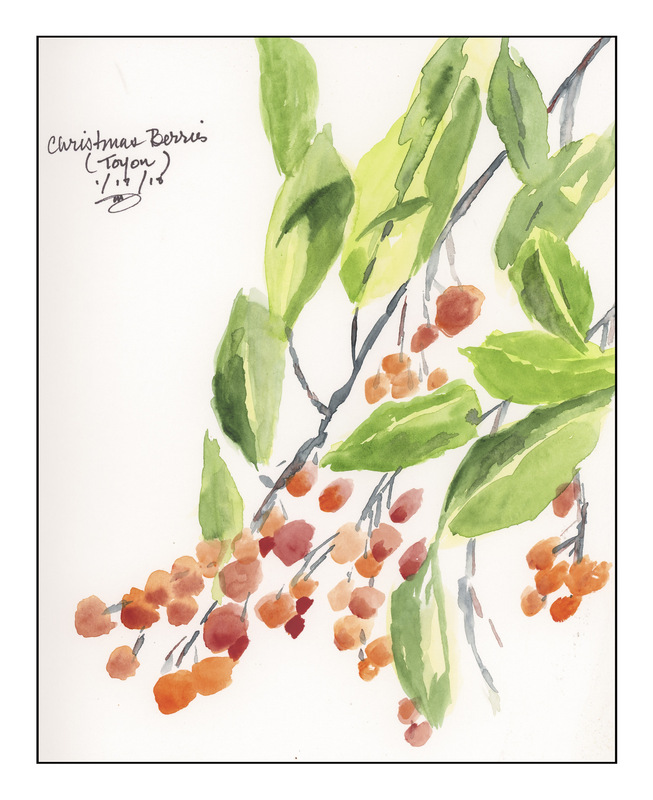 So, I decided to use this photo I took over the weekend of a Toyon – also called Christmas Berry as it shows up Decemberish – for a quick morning paint. Below are the results using my palette with 5 greens (yay! green!) and a 1/2 inch flat brush. I painted directly, no lines.